This product can be used for two and three bar applications. 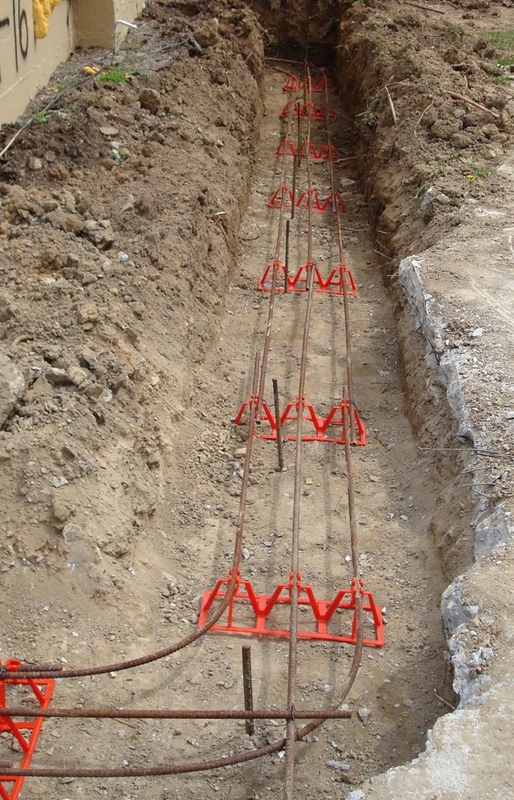 The #924 Hercules Footer Stand is designed for 3 bar applications using #4 and #5 rebar. 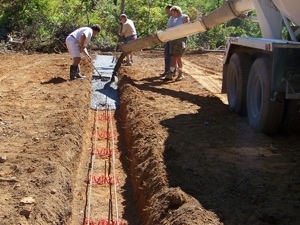 Each bar is positioned 5" apart with a 3" clearance from the ground. Simply snap the rebar into place. No wire tying is necessary. The #924 is strong and will not collapse during the pour. 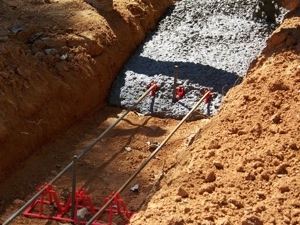 The rebar is kept at the correct height in the footer and will help you "get the job done right!"